01/30/2018 03/16/2017 by Andy Z. Did it ever get caught into a loading loop? Did it ever become unresponsive? Did it ever just go blank with a white, transparent overlay and just freeze up? On Windows, you can simply open up the Task Manager by doing the good old “Ctrl + Alt + Delete” trick. From there, you can just find the program or application that holding up your computer and force close it. And that should fix it- most of the time. On Mac, you can easily Force Quit any application by pressing “Command + Option + Escape” and shut down whatever is holding up your computer resources. It’s about time someone wrote a guide made just for Chromebooks. This troubleshooting guide will teach how to fix it up so you can get back on track. How do you force close unresponsive apps? Or what do you do about Chromebook that’s frozen? To fix an unresponsive or frozen Chromebook, use the keyboard shortcut to bring up the Chrome Task Manager. First, you’ll need to learn about the Chrome OS version of the Task Manager that you may be used to on Windows. That’s the keyboard shortcut for the Chrome Task Manger. It works just like Windows’ version, but a little more simplified. It’s actually easier to access since it’s one less key to press (if you want to be nitpicky about it.) It’s just a weird key combination to remember since many of us are used to Windows’ infamous “CTRL + ALT + DELETE” combination. Anyway, after you bring up the Chrome Task Manager, you’ll see a small window that lists all of the current running Chrome applications. It’ll also give you detailed information like Memory (RAM) usage, CPU usage, Network Usage, and more. It’s basically Window’s Task Manager on Chrome. If you’ve seen one, you’ve seen them all. Nothing special here. After you bring it up, go ahead and scan through the apps and see what’s taking up all your resources. You can sort through the list by clicking on the tabs at the top. Look for the app that has the most Memory or CPU usage and end it by clicking on it and then clicking on the “end task” button. You can also end it by right-clicking on it and closing it. If there’s nothing that you can identify to be the culprit, you’ll need to take a closer look at your apps. It’s possible that the app doesn’t take up too many resources but is still freezing up your laptop. So, you’ll need to make some educated guesses and find it and end it. And if your Chromebook is completely frozen, then you may want to do a hard reboot first, then check for any apps that are taking up valuable resources. Note: If you don’t see anything suspicious, continue using your laptop while monitoring resources usage and look for apps that spike the percentages consistently as you use them. A note of warning: Don’t force quit “Browser.” This is Chrome OS. And if you quit this app, you’ll basically shut down your entire laptop. This is the computer itself (pretty much). So don’t quit it. After you find it, click on it, and click on the “End Process” button in the lower right-hand corner. This will force quit the application on your laptop. If you chose the right one, your laptop will start chugging along again. This should fix the issue if your Chromebook is frozen, unresponsive, or slow. If not, we have more options following below. Check ’em out. Also, consider uninstalling the app if you don’t need it so it doesn’t screw up your device again. Untrusted apps are typically the cause of these issues. Doing this simple task should fix up any lag, slowness, or unresponsiveness. Usually, when you have too many apps running or one hangs, it causes these issues. Ending the process will free up resources (RAM and CPU) for your laptop to use for other processes and should speed up your computer. Is your Chromebook still unresponsive? Is your Chromebook frozen? 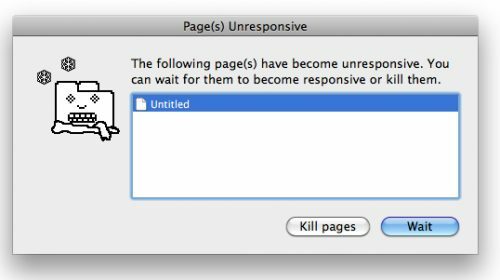 Kill the pages. Do the same for apps using the Task Manager. If you end up closing a whole bunch of apps and your Chromebook is still unresponsive, then you’ll have to shut it down and restart it. Simply click on the system status area in the bottom-right corner of your screen (where the time, battery, and account information is) and then click on the Power icon. This will shut down your laptop and you’ll have to restart it. If you can’t even get it to shut down, then you’ll have to do a hard reset. Press and hold the Power button (it should be the very top-right button on your keyboard for most models) for 3 seconds and it’ll force shut down. After it’s completely off, simply just press it again to turn it back on and go from there. It should fix your frozen or unresponsive Chromebook. Still not fixed? Backup your personal files and do a Powerwash. Well, that should solve your issues. Most unresponsive issues can be fixed simply through the Chrome Task Manager and killing the process that’s freezing up your laptop and making it not respond to your commands. If not, then move up the chain and take more drastic measures such as restarting your laptop. That’s it. If this has helped you, consider telling a fellow Chromie about it. If your laptop still isn’t fixed, or if you have any other awesome tips, feel free to leave a comment.